1. On November 7, the leader of Daesh, Ibrahim al-Samarra’i, was wounded by a US airstrike on his convoy near Mosul. While he is not irreplaceable, as I argued at the time, his ignominious wounding surely lowered morale in the organization. 2. The Iraqi military is maintaining that it cleared Daesh elements from the oil refining city of Beiji, north of Baghdad. Since the organization makes some money by smuggling refined oil products, this loss hurts them in their bottom line. 4. In late October, the Iraqi Army and allied Shiite militias took Jurf al-Sakhr, a Sunni Arab town of some 80,000, away from Daesh, depriving them of a base south of Baghdad from which they could menace Hilla, the Shiite Shrine Cities, or Baghdad itself. 5. In Syria, the army of dictator Bashar al-Assad has regained the momentum in the past 18 months, and now seasoned Syria observers are actually contemplating the possibility that the army will take Aleppo back from the rebels there. 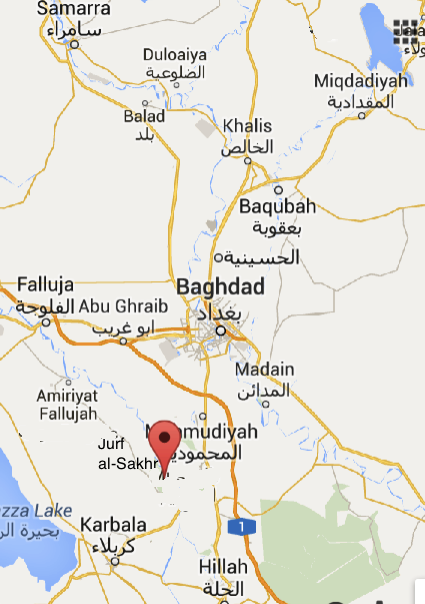 That would put pressure on Daesh’s chief base, of al-Raqqah Province. Until recently the two sides have largely avoided closing with one another but they won’t have that option if Aleppo falls.